God isn’t real, and I can prove it scientifically. They’ve done tests to show that certain parts of people’s brains light up when they’re praying or doing other spiritual things. See? It’s all an illusion created by our brains. Can you spot the faulty reasoning here? Can you think of any good examples that illustrate why this claim fails? Any other thoughts about how to respond? Give us a piece of your mind! We’ll hear back from Brett on this subject on Thursday. I had some scientists do some experiments on my brain and it turns out that everything I do, see, hear, taste, and touch in the world causes certain parts of my brain to light up. I guess that means the world and everyone in it is just an illusion created by my brain! I have since become a solipsist. If your brain lights up when you think about yourself, you’re in trouble. What Kyle said. The answer to this challenge is just too obvious. As for other thoughts about how to answer this, I’m afraid those thoughts would light up certain parts of my brain, making my thoughts on the matter illusory. Similar to Kyle, they’ve done tests that show certain parts of your brain light up when recalling what you did in the past. Guess that’s illusory too. My brain is lighting up right now just engaging this “argument”, therefore, using the same reasoning, this “argument” is an illusion. Did certain parts of the scientists’ brains light up as they were observing the results of those tests? If so, then the results are illusory. While it is possible God isn’t real, it is not possible for science to dis-prove the supernatural using materialistic testing methods. Science presumes supernatural not possible because it is not materialistic. Likewise, science can not tell or test objective Morality, but it’s there. Not to mention, the evolution argument (something from nothing) falls on the same sword used to dispel supernatural using materialistic testing rendering it scientifically impossible. We can be certain of God, given the empirical evidence though. I would to firstly ask this person to try and explain more clearly what he means. Either this person hasn’t explained their thinking clearly or else their conclusion is a non-sequitur. Even the premise is flawed, unless this person can explain what the parts of the brain lighting up actually means. Is this person a neuroscientist who can actually explain the significance of what the experiment means? Or are they putting two and two together and getting red? But I want to make an observation. The assumption behind this kind of argument (I think) is that if a belief is merely the result of brain chemistry, and brain chemistry is the result of blind mechanistic causes, then the beliefs cannot be trusted. It’s very interesting that a materialist would make this kind of argument since it undermines materialism. 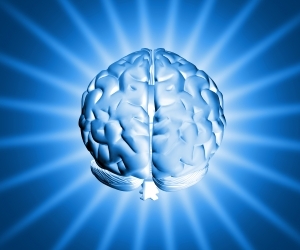 According to materialism, all of our mental states are products of brain chemistry. As C.S. Lewis pointed out in “Miracles,” to be caused is not to be proved. Unless our beliefs are the result of good grounds, they cannot be rational, but if materialism is true, then our beliefs would be the result of material causes, and they would result whether there were good grounds for them or not. Grounds do not produce our beliefs; chemical causes do. If the person makes the further step of saying that since our belief in God is the result of blind chemical reactions that therefore God doesn’t exist, they’d be committing the genetic fallacy. The other option is that our brain lighting up is evidence FOR God and our being designed by Him.